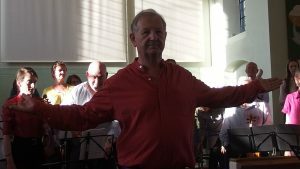 Rupert Bond is a conductor, composer, and educator. He believes passionately in the importance of sharing music with others, particularly the young - both performer and listener alike. Rupert Bond believes passionately in the importance of sharing music with others. He has enjoyed considerable success as a conductor, creating compelling and lively performances of musical integrity with groups ranging from small chamber ensembles to 100-player symphony orchestras in the UK and abroad. Having completed a B.Mus at London University he pursued his conducting studies at the Royal Academy of Music and most especially with George Hurst and Colin Metters. In 1999, he was made an Associate of the Royal Academy for his services to music. In 2011 he completed an MMus in Composition. His skills as a communicator to players of diverse abilities but with a passion for music were evidenced by his pioneering work in education and community music-making developments in the 1970s. He conducts professional and amateur orchestras in the UK. In 1999, he was made an Associate of the Royal Academy for his services to music. Rupert founded the James Allen’s Community Orchestra (JACO) whilst he was Director of Music at James Allen’s Girls’ School. (1987-2003). From August 2006 to November 2007, Rupert, together with wife Marion and daughter Eleanor, stayed in New Zealand to develop further his musical career. On returning to the UK, Rupert spent 5 years in Devon, but from September 2013 he and his family have returned to the South East and live in Kent. 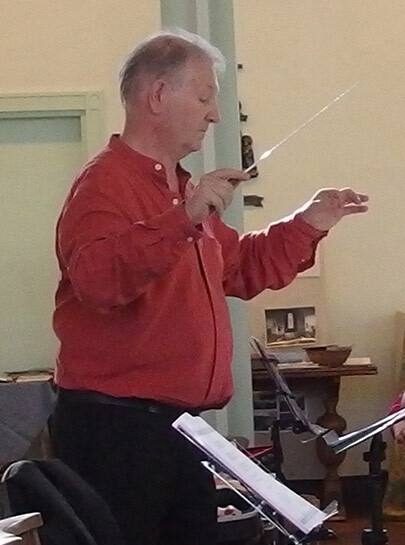 He is conductor of the Folkestone Symphony and many other ensembles, including the Kingston 3A Orchestra, PolyChor and the classical period group, the Southwark Sinfonietta. He is also in demand as guest conductor for various ensembles, and also choral and orchestral workshops. These include the European Doctor’s Orchestra, Suffolk Sinfonia and the Isle of Wight Symphony Orchestra. He is delighted to be working with the Wimbledon Community Orchestra.